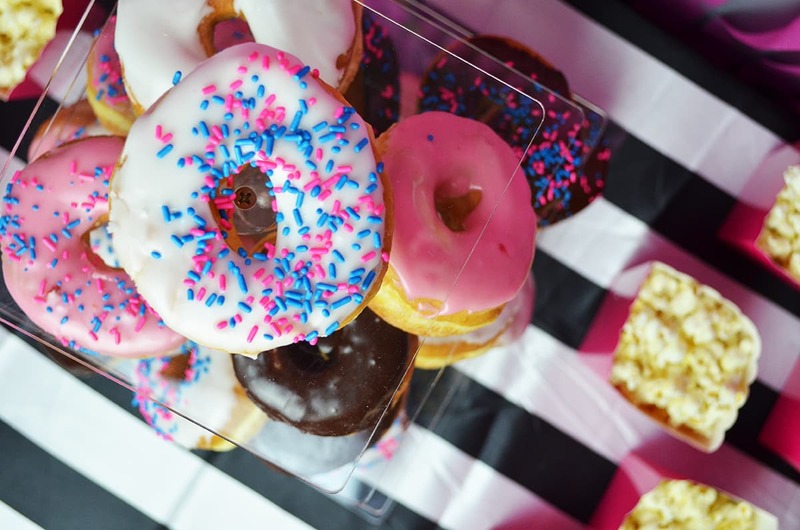 Donut parties are the new trend! 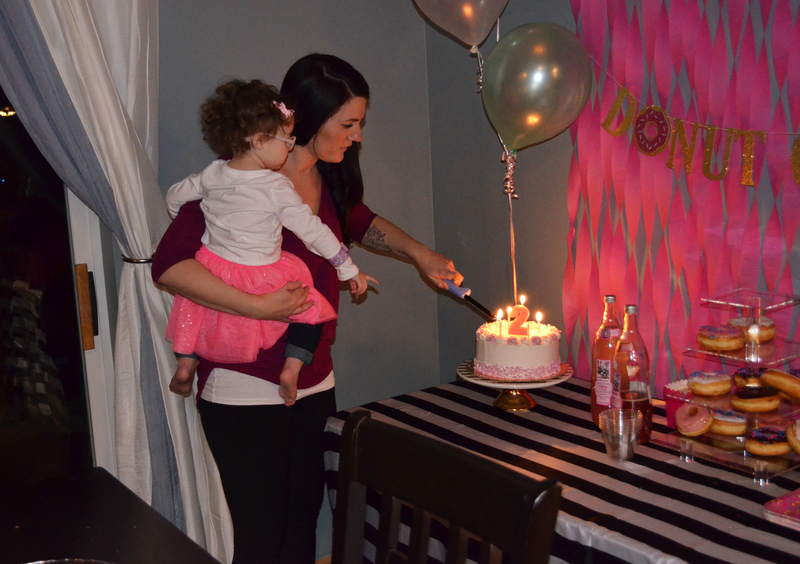 My last baby is 2…..insert me wanting to pause time and currently still crying. The theme for this party could not be more fitting with my recent emotional outburst over Katia growing up way too fast. Actually, I had no theme planed until two weeks before this party when I saw another friends post of her daughters Donut Grow Up party on Facebook and just couldn’t resist because…DONUTS!!! 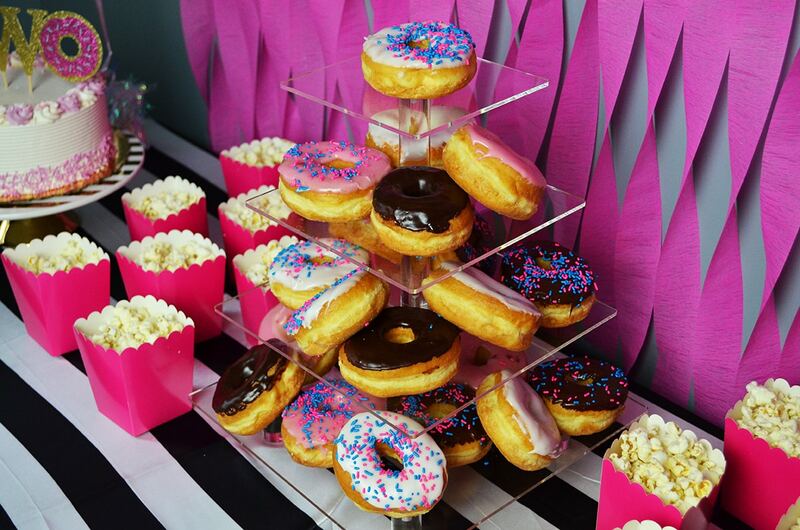 I think I will be doing a lot more donut themed parties in the future with this awesome stand I found on Amazon. Everything literally came together at the last minute and I could not be more pleased with the stunning results. I preferred using a stand that would separate the donuts verses stacking the donuts to make one large donut cake. I wanted to keep the integrity of the frosting and versus smushing the donuts. Right next to the sweet donuts you have little pink boxes found at Oriental Trading.com filled with the perfect pop of salty popcorn. I always order my donuts from my favorite local donut shop, Country Donuts in Elgin, Illinois. Supporting local small business owners is something I always strive to do. Off course it doesn’t hurt that they also have the best tasting FRESH donuts! Let me begin by saying, I am OBSESSED with this unbelievably adorable donut balloon. I mean seriously, it’s smiling at you! It’s extremely cute and can be found on ETSY, but also available on Amazon.com. If you’re having a Donut Grow Up Party then you absolutely need this balloon. Of course I just could not resist ordering a Whole Foods chocolate cake with chocolate moose filling and white butter cream frosting. 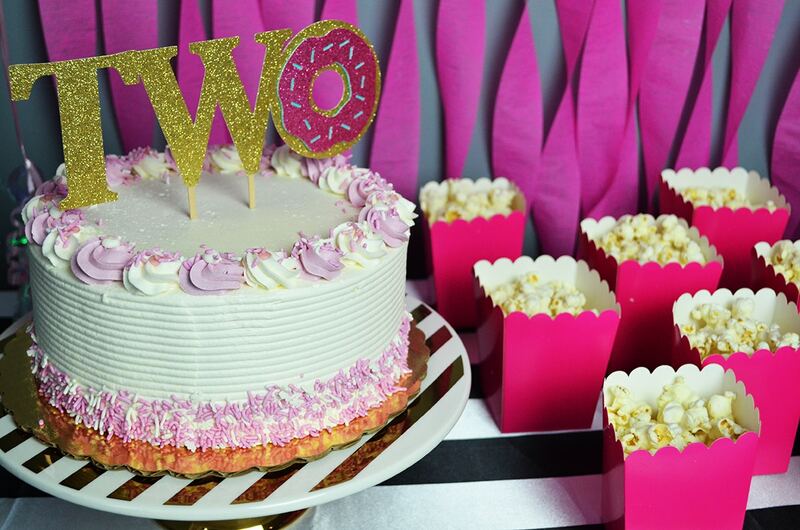 To top off the cake I ordered the perfect TWO sign with a donut as the O that I found on ETSY from WITHLOVEFROMANRI. 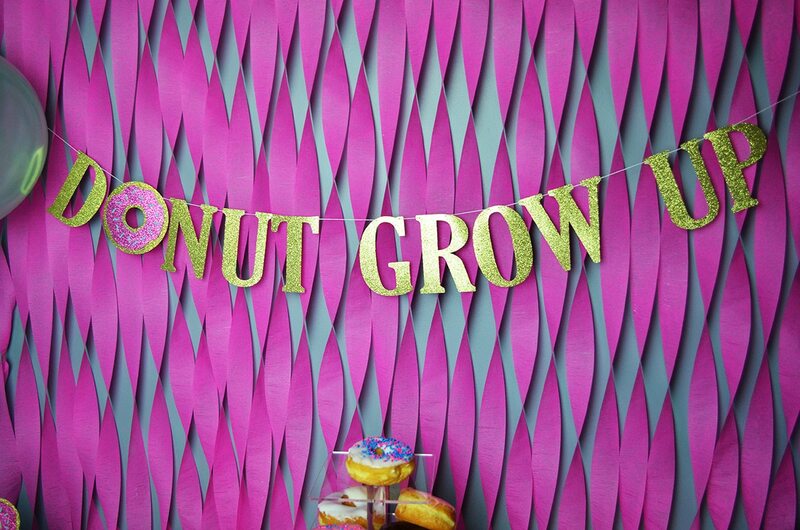 This obliviously matched perfectly with the adorable DONUT GROW UP sign hung above the table. Time to light the candles and make a wish. I hope all of Katia’s dreams come true and she just stays little as long as possible. I do not want her to grow up too fast. I get it now, I really do! Time flies and I need to enjoy all the little moments as much as I possibly can. This year has thrown a lot of curve balls. None the less, I am blessed because this little girl is my dream come true. Being a mother to a daughter is something I have longed for. I am thankful for each and every day I get to know this little mischievous, sweet and crazy ball of love.